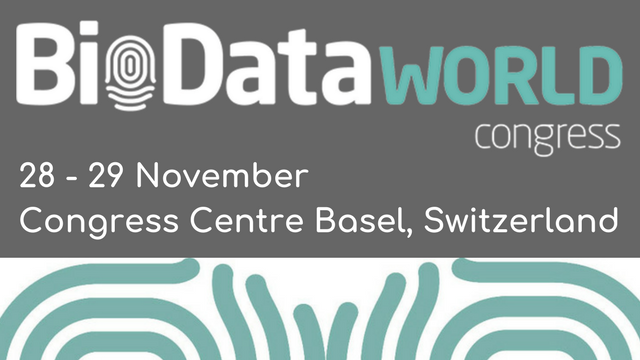 BioData World Congress transpiring on the 28-29th November in Basel is the worlds-leading event for individuals working within Big Data and AI in life sciences and healthcare research to drive forwards big data use in Pharmaceuticals. The event was originally created with the support of leading institutes such as EMBL-EBI, Genomics England, Sanger Institute and the NHS and has since been commissioned by Roche and Merck along with others. Biodata brings together global heads of IT, data, analytics, digital, CDOs, CIOs, bioinformatics, genetics, oncology, rare disease, computational biology, translational medicine etc from leading pharmaceutical companies. BioData takes place over 12 tracks this year, including: Storage, IT and Management, Bioinformatics, AI and Machine Learning, Big Data in Cancer, Data Integration & Infrastructure, Big Data in Rare Diseases, Analytics Platforms and Data Sets, Next Gen Sequencing, Data Management, Genomics in Clinical Trials, Real World Evidence and Precision Medicine along with a Hackathon and two Start up Streams. If you are interested in attending, make sure to register and benefit from the 10% partner discount. Simply use the voucher code QNNT when you register online.